In advance of the Oshkosh AirVenture show, which starts on Monday, Sporty’s and Appareo have launched the Stratus 3 ADS-B receiver, the latest in a line of non-certified portable units that have been best sellers for the past several years, in part because the original Stratus and Stratus 2 were well designed, capable units, as well as the fact that they were compatible with ForeFlight Mobile, the leading tablet and phone based app for Apple’s tablets and phones. In fact, Stratus was exclusively for use with ForeFlight. With the launch of Stratus 3, however, the big news is that Stratus 3 is open source, meaning it can be made to play with software from whatever app makers chose to make it so. 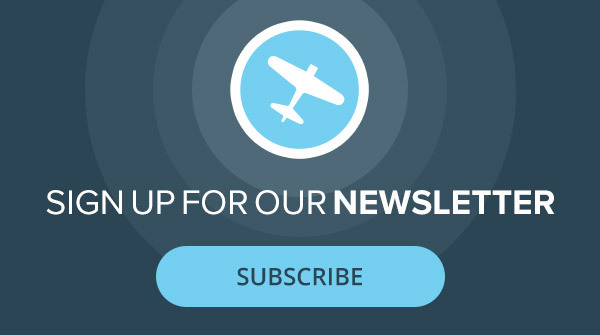 ForeFlight, which recently launched its new ADS-B receiver, Sentry, is supporting the launch of Stratus 3, as well, which will provide a rich set of built-in features in ForeFlight, including 3D traffic display, which is about the coolest thing we’ve seen in a while. But Stratus 3, which will use the industry standard GDL-90 software protocol, will be compatible with Android apps, as well. Like the Stratus 2S that came before it, Stratus 3 has built-in GPS/WAAS receiver, built-in AHRS for backup attitude information to drive features like synthetic vision. 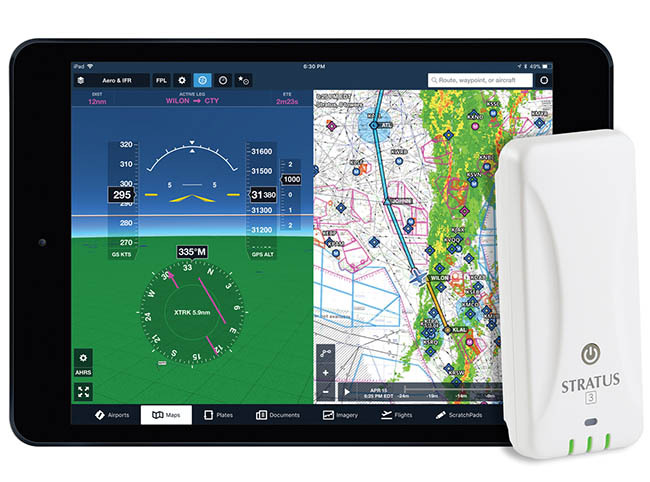 Status 3’s features include dual band ADS-B receivers (1090ES and UAT), as well as automatic shutoff, where the unit senses when the flight is done, smart WIFI, which allows a pilot to use their iPhone or iPad Apple LTE data stream connection without disconnecting from Stratus 3. The Stratus 3 WIFI network can be hidden, a big draw for military and airline pilots, for obvious security reasons. And Stratus 3, Sporty’s says, is poised to take advantage of new FAA ADS-B features when they come online later this year. Those include echo cloud tops, lighting, icing and turbulence forecasts. Stratus 3 has a retail price of $699, $200 less than its predecessor. If you’re heading to OSH, check it out at Sporty’s pavilion, where they’ll be happy to hook you up with one. You can also, of course, purchase on by going to sportys.com/stratus.